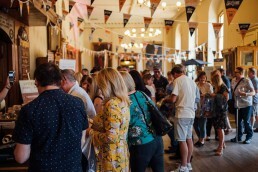 Worcester's own, independent Gin Festival is back 4-5 May 2019! Tickets sold out last year...fast! This year we have released them even earlier so don't delay, buy your tickets here. 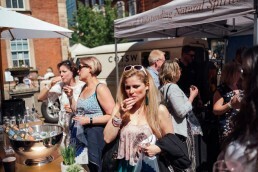 We will play host to a variety of Gin stalls and brand ambassadors which will be able to talk you through their range of products. 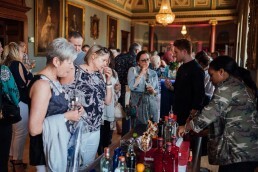 Attractions will include gin cocktail demonstrations, presentations, VIP tasting sessions and live music throughout the weekend. Don’t want the day to end? 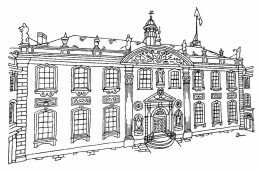 Head down to TONIC and continue enjoying a great range of Gin & Gin cocktails at their dedicated ‘House of Gin’ bar. Don’t delay, tickets are limited and we hate to be the bearers of bad news… but if you’re names not on the list … you’re not coming in! 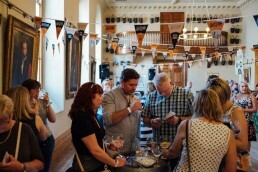 Standard ticket includes Gin Guide, Gin Bag, Gin Festival Glass, entrance to the event and a taster card with 4 samples from attending Distilleries exhibiting and access to our Gin Bars selling over 100 different gins. 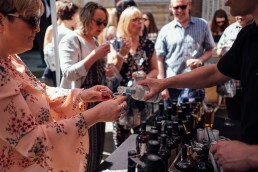 VIP tickets include Gin Guide, Upgraded Gin Bag – with extra goodies, Gin Festival Glass, Jump the queue with entrance to the event and a taster card with 6 samples from attending Distilleries exhibiting and access to our Gin Bars selling over 100 different gins. Are you the same company that went bankrupt at Worcester Racecourse? We are not the company that tried to host one at Worcester Racecourse. 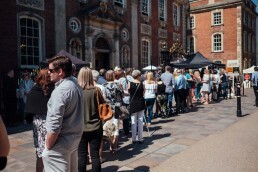 We own Bolero bar on Foregate St. We hosted our first festival last May with TONIC craft cocktail bar at the Guildhall and it was a huge success. You can be confident in purchasing tickets with us. I’m buying tickets as a gift, do I need to have the correct names on them? No, the name on the tickets does not affect who can use them. Will I be able to leave the event & re-enter? You will be able to come & go as you please providing you are only returning to the time slot you have a valid ticket for. Yes, there will be a number of seats but not guaranteed for every attendee. Yes, there will be food available for you to purchase. We ask that you kindly refrain from bringing any external food into the festival. It says online the Event is sold out, can I buy tickets on the day? Our tickets are sold online through Eventbrite, you cannot turn up on the day & purchase them. If you have your email confirmation with the Q code or download the app then you don’t need to, if not please print your ticket off otherwise you may be refused entry. No, our tickets are through Eventbrite & issued electronically, you should receive an email confirmation. Please get in contact with Eventbrite but make sure you’ve checked you junk/spam folders first. Bolero Enterprises T/A Bolero bar and kitchen have a legal duty to comply with the requirements of the Data Protection Act. Bolero Enterprises T/A Bolero Bar and Kitchen does not and will not sell personal information about our clients. Bolero Enterprises T/A Bolero Bar and Kitchen is committed to protecting the security of personal data and to ensure that there is no unauthorized access. Bolero Enterprises T/A Bolero Bar and Kitchen retains personal data for as long as necessary, or until you request it’s removal, to personalize our communication with you, and inform you of our offers, events and news, ensuring we provide you the customer an engaged customer service. 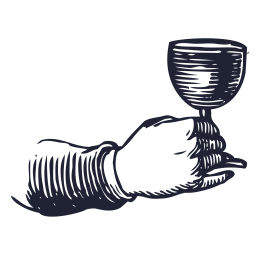 Please contact us by email bar@bolerovenues.com or telephone 01905 22220.